Order the DS-7000 and Get Lifetime Tech Support - FREE! 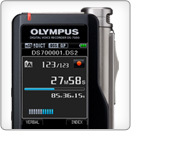 If you thought that the DS-5000 was good, just wait until you see the new Olympus DS-7000. Whether capturing critical patient information, making case notes or recording a news story, you need a reliable recorder that captures conversations quickly and accurately. Enter the Olympus DS-7000. With this all-in-one tool, you can capture your thoughts quickly, place the device on the dock when the task is completed, and you're done! It then sends the file to your transcriptionist automatically, saving you precious time. Also, there are no cables to mess with just to download audio files to your PC. Just press the center top button on the foot pedal and you're done! The New DS-7000 has such a staggering array of time-saving features; it will give you more time in your work day. The DS-7000's redesigned, speech-optimized microphone is independently housed for unparalleled sound reproduction. It captures sounds clearly even in noisy recording environments. Also, it offers multiple recording modes, as well as two quality levels - QP (16 kHz/28 kbps) and SP (12 kHz/13.7 kbps). Dual SD and microSD card slots allow for up to 32GB of total memory. 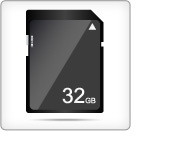 The included 2GB microSD card holds up to approximately 306 hours of recording time. 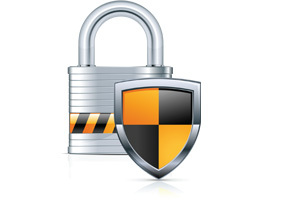 Keep sensitive information confidential with military-grade security. 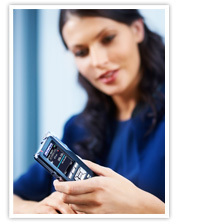 The DS-7000 has device password protection and DSS Pro real-time 128 or 256 bit file encryption. The DS-7000 is designed to adjust to the way that you work. It is packaged with next-generation Olympus Dictation Management System (ODMS) software and compatible with Nuance Dragon NaturallySpeaking voice recognition software. With support for up to 32 index marks per dictation file, find critical information in seconds. See the status of recording jobs instantly, including time used, battery status, time remaining and microphone level. A Li-ion battery (710mAh), rechargeable through your computer's USB port, allows for up to 26 hours of recording time on a single charge, so it's ready when you are. A vast array of functions and accessories, audio codes and indexing options, as well as support for multiple work types and users, makes the DS-7000 customizable enough to suit any purpose in any IT environment. The ODMS software integrates successfully with Windows 8 (64-bit), 7 (32/64-bit), Vista (32/64-bit) and XP and Mac OS X. 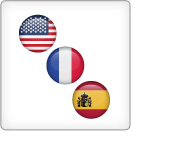 The DS-7000's 2-inch color LCD screen supports 3 languages; English, French and Spanish, as well as personalized welcome messages. A redesigned docking station recharges the Li-ion battery and allows hands-free recording, playback and interaction with the ODMS software. 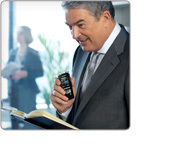 The Olympus DS-7000 works flawlessly with Dragon NaturallySpeaking. In fact, it received a perfect speech recognition accuracy rating by Nuance for use with Dragon NaturallySpeaking Professional, Dragon NaturallySpeaking Legal and Dragon Medical Practice Edition. Nuance gave the Olympus DS-7000 a perfect six out of six dragons, which means that: no other professional digital portable recorder has ever received a perfect accuracy score on any of the Dragon speech recognition products. 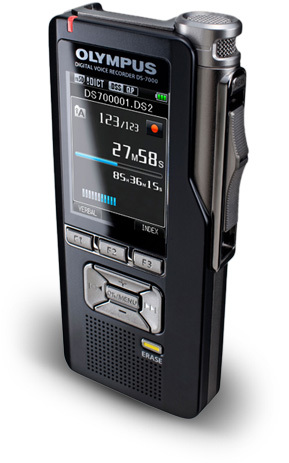 The DS-7000 is perfect for professionals that need to dictate quickly and accurately, including attorneys, medical professionals, journalists, police officers, lawyers and more! Our dedicated support team, with their decades of experience, will support you every step of the way, from installation to configuring it just the way you want it. You'll be up and running in no time! The DS-7000 comes with a 2-year hardware replacement warranty and a 30-day money-back guarantee. That's how confident we are that it will transform the way you dictate! 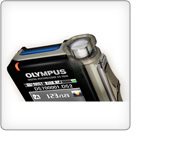 Order the powerful Olympus DS-7000 NOW - and find out what you've been missing! See how the DS-7000 can help you dictate faster & easier, resulting in fewer late nights at the office and more time for the work that matters. Device password protection and DSS Pro real-time 128 or 256 bit file encryption makes the DS-7000 ideal for workplace environments that deal with sensitive information. Also, its bank-level security ensures that no one can listen to the recordings if the recorder gets lost or stolen. A vast array of functions and accessories, audio codes and indexing options, as well as support for multiple worktypes and users, makes the DS-7000 customizable enough to suit any purpose in any IT environment. The DS-7000's redesigned, speech-optimized microphone is independently housed for flawless sound reproduction. It offers multiple recording modes, as well as two quality levels - QP (16 kHz/28 kbps) and SP (12 kHz/13.7 kbps). The DS-7000's 2-inch color LCD screen supports 3 languages, English, French and Spanish, as well as personalized welcome messages. 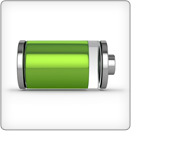 A Li-ion battery (710mAh), rechargeable through your computer's USB port, allows for up to 26 hours of recording time on a single charge. A redesigned docking station recharges the Li-ion battery and allows for hands-free recording, playback and interaction with the ODMS software (software not included). Olympus ODMS R6 Dictation Software. 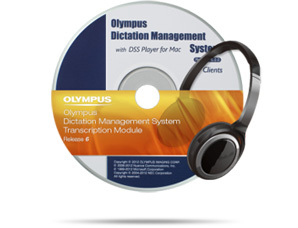 The Olympus ODMS R6 Dictation Module is supplied with the DS-7000 so that dictation authors can easily download and manage their dictations. 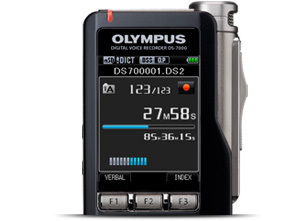 The Dictation Module also supports Direct Recording using an Olympus USB Microphone such as the DirectRec II. Dictations can also be directly recorded hands-free using the 4 button footswitch – RS31. Automatic startup of the application by connecting the device. Automatic download of Dictation by connecting the device. Automatic transmission of downloaded Dictation to addresses specified through e-mail and FTP. 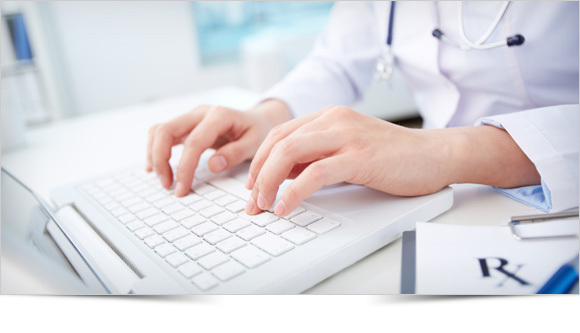 Automatic transmission of transcribed documents through e-mail and FTP, as well as Dictation and link management. Customize functions on the recorder. Direct recording and editing of existing Dictation through Voice recorders button and slide operation. Recording Instruction Comments and Verbal comments. 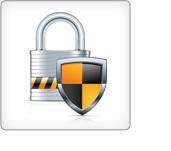 Encrypt the Dictation within the folder by encrypting the folder itself. See the Olympus DS-7000 in action!